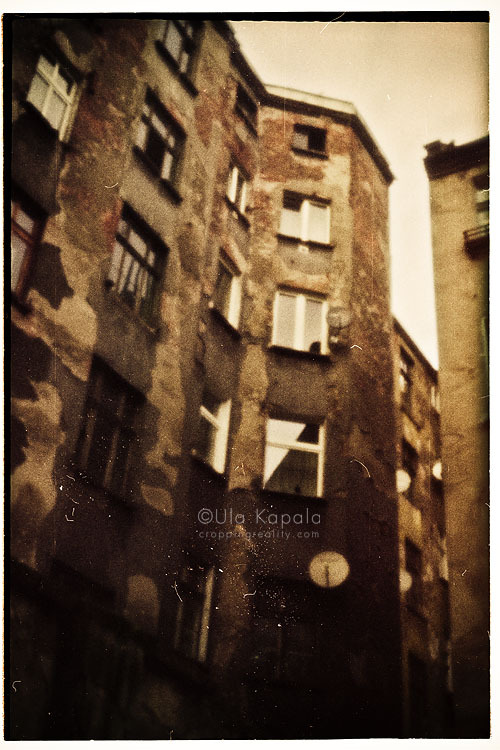 For my pinhole photography shoot back in 2007 I chose one of the poorest areas in Wroclaw, known commonly as the “Bermuda Triangle” (because stuff disappears there). I was a bit afraid to go there alone, so I took two guys with me. Nobody who saw me taking photos seemed to mind, though. They were curious why I liked those poor, decayed and godforsaken places. I love this photos Ula! I can watch it all the time! The image really portrays your blurb. Very atmospheric.